I think the unique, delectable taste of these devil-made-me-do-it indulgences is due to two ingredients; Hershey’s 100% Special Dark Cacoa powder and ground caynenne red pepper. 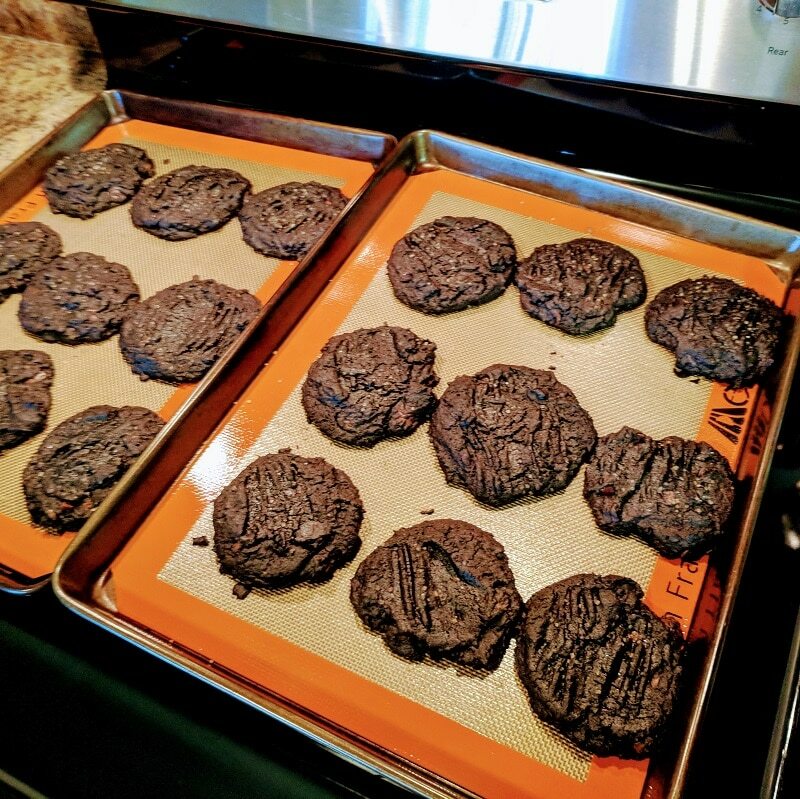 Devils Double Chocolate Cookies recipe with 100% Special Dark Cacoa, bittersweet chocolate chips and cayenne pepper. You might also like my recipe for Dark Chocolate Banana Bread. If you want yet another baked chocolate treat, try my Gooey Fudgy Dark Chocolate Brownies.